The University of Chicago Library launched a website last month allowing visitors free access to The Chicagoan, an arts and culture magazine fashioned after The New Yorker. Neil Harris, Preston & Sterling Morton Professor Emeritus of History and Art History, discovered the nearly complete run of the magazine in the Regenstein Library in the late 1980s. He later edited a book, The Chicagoan: A Lost Magazine of the Jazz Age, exploring the magazine’s ambitions and situating it in the historical context of 1920s Chicago. The magazine was digitized using the Joe and Rika Mansueto Library’s Digitization Laboratory’s new Zeutschel overhead scanner, which allowed the library to scan bound volumes in house, in a face-up position. 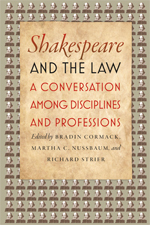 “As an online, searchable resource, the Chicagoan facilitates new avenues of study and the ability to zoom in and out on images, while preserving the original print volumes from excessive handling,” said Alice Schreyer, Assistant University Librarian for Humanities, Social Sciences & Special Collections and Curator of Rare Books. 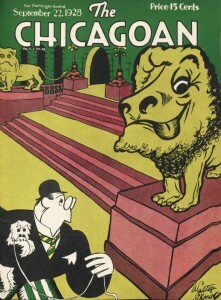 Digital copies of The Chicagoan, which lasted from 1926 to 1935, can be found here. While researching Dedicated to God: An Oral History of Cloistered Nuns, Abbie Reese, MFA’13, spent six years learning and recording the individual stories of a community of cloistered monastic nuns living in a 25,000 square foot enclosure outside Rockford, IL. Those stories and Reese’s accompanying photographs will be published in November as part of the Oxford University Press’s Oxford Oral History series, and mark one of the first times an author has been allowed access to an enclosure where nuns observe monastic silence. Reese graduated from the Department of Visual Arts in 2013, and has included photos and video from the project on her website. Her photos were also shown in the 2013 MFA Thesis exhibition, which can be found here. Posted in Uncategorized. Tagged with Alumni, Visual Arts. Robert Morrissey, Benjamin Franklin Professor in Romance Languages and Literatures, was recently named a Chevalier of the Légion d’Honneur of the French Republic. In order to receive the distinction of Chevalier, one must have a minimum 20 years of public service or 25 years of professional activity, in addition to achieving distinction in one’s field. Morrissey serves as Executive Director of the France Chicago Center and is the Director of the Project for American and French Research on the Treasury of the French Language (ARTFL). …is designed to highlight the aesthetic philosophy of AFRICOBRA first articulated in statements and exhibition text in the late 1960s and early 1970s. The exhibition in the Logan Center Gallery will demonstrate how the AFRICOBRA philosophy was collaboratively developed by the five founding members, through a presentation of key early works and selected current works, raising the question of how founding principles continue to inform each artist…Themes to be addressed include the revolutionary politics of the period, the project of bringing art to the people through a range of media, and the relationship of gender roles and family to the political context of the time. Two alumni with ties to the Division of the Humanities will be recognized at the 72nd Annual Alumni Awards Ceremony on Saturday, June 8th. Nancy Parra, AM’66, PhD’73, is a member of the Alumni Club of Houston, the Alumni Board of Governors, and the Visiting Committee to the Division of the Humanities. The years of her involvement with the Alumni Club of Houston have seen an increase in alumni participation. During her time with the Alumni Board of Governors she helped produce the Student Externship Program, which both positively impacts the lives of students and promotes alumni service. Parra will be presented with the Alumni Service Award in honor of her her continued advocacy for the University. Eva Fishell Lichtenberg, LAB’49, AB’52, AM’55, PhD’60, will be presented with the Alumni Service Medal “for her thoughtful approach in identifying the needs of current students to ensure their overall experience – from curriculum, student life, and extracurricular activities – showed growth and revitalization.” She has served on the Alumni Board of Governors, the Visiting Committee to the Department of Music, the Visiting Committee to the College, and currently serves on the University of Chicago Women’s Board and the Visiting Committee to the Division of the Humanities. She also serves on a number of charitable boards throughout Chicago. Learn about the Alumni Awards Ceremony and read the full alumni biographies here. Alumni Weekend will take place from June 6 to June 9. To find out more about the weekend’s programming and to register, please visit the Alumni Weekend site. For the “Where Chicago Eats” issue of the Chicago Reader, Anton Ford, Assistant Professor in Philosophy, and Miranda Swanson, AM’01, contributed their thoughts on food. Miranda Swanson, AM’01, writes about her favorite Chicago chef, who is also her husband. The enjoyment they take from meals has also become a family affair—Swanson’s two and a half year old twins are now old enough to appreciate lobster on linguine as well. Jessica Burstein, AM’90, PhD’98, published Cold Modernism: Literature, Fashion, Art as part of the Refiguring Modernism series. The book proposes a new understanding of modernism: cold modernism, which “operates on the premise that ‘there is a world in which the mind does not exist, let alone matter. '” Burstein wrote about the experience of publishing her book in the latest issue of The University of Chicago Magazine. 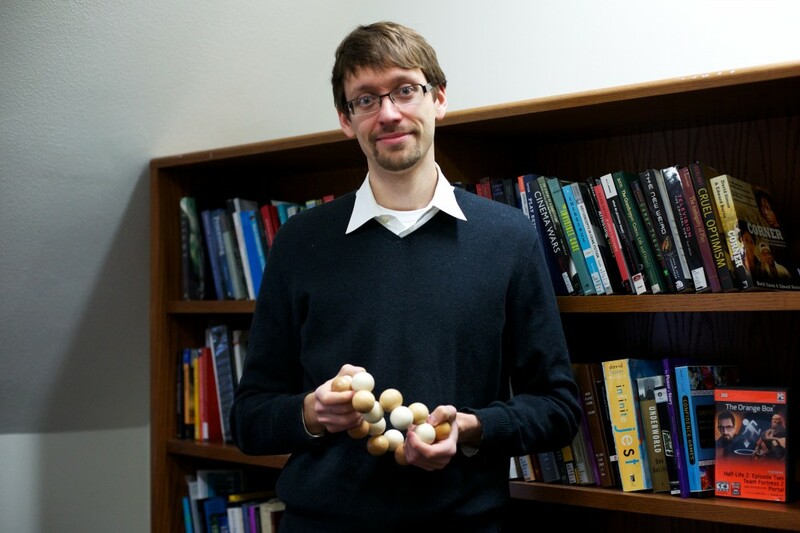 McMahon is an alumnus of the Master of Arts Program in the Humanities (MAPH) and currently serves as the program’s writing advisor. He also teaches journalism courses for the Committee on Creative Writing. Michael Silverstein, the Charles F. Grey Distinguished Service Professor in Anthropology, Linguistics, and Psychology, and Raúl Coronado, Associate Professor in English Language and Literature, lectured as part of the 2012 Chicago Humanities Festival. Coronado spoke on Latino Identity and Literature, drawing on his studies of Latina/o literary and cultural history from the colonial period to the 1940s. Silverstein gave a lecture titled “America’s Tongues” that highlighted his work in the structure and history of language. Posted in Uncategorized. Tagged with English Language & Literature, Faculty. Monday night screenings, shot-for-shot dissections, and lively discussion are all par for the course during film classes with Tom Gunning, the Edwin A. and Betty L. Bergman Distinguished Service Professor of Art History and Cinema and Media Studies. The University of Chicago Magazine profiled Gunning, highlighting his “History of International Cinema, Part II: Sound Era to 1960” course. Throughout the class, he offers nuanced readings of films such as M, a 1931 police procedural by Fritz Lang, and It Happened One Night, a genre-defining romantic comedy starring Clark Gable and Claudette Colbert. The small cinematic details Gunning fixates on are writ large by viewing the films on the big screen. Pick up What Is Cinema?, the text Gunning uses when teaching “History of International Cinema, Part II”. Hillary Chute, Neubauer Family Assistant Professor in English Language and Literature, as well as Rachel DeWoskin and Jeffrey Brown, both faculty members in Creative Writing, were featured on the Newcity Lit 2012 “Lit 50” list, which celebrates “on-the-page creators” active in the Chicago literary scene. 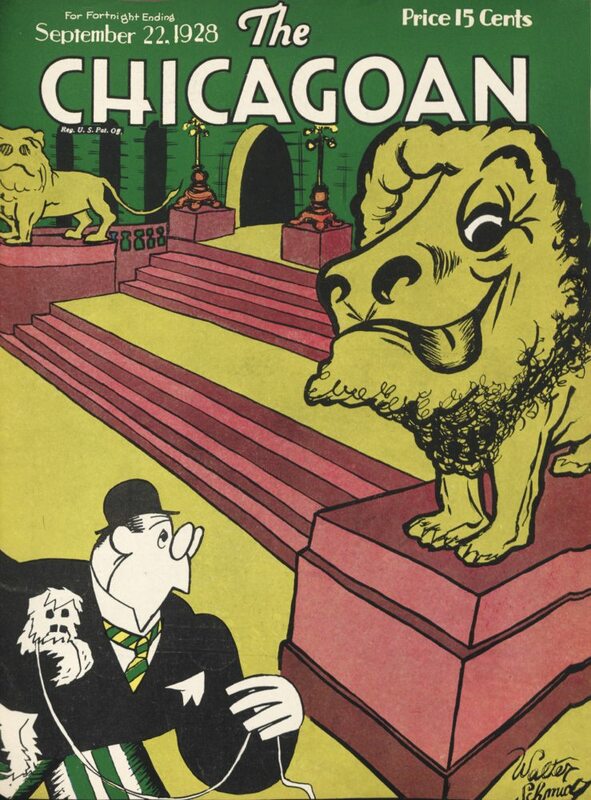 Chute was called an “alt-comics impresario” who “may be the one to take Chicago from being a comic-book city to a full-blown metropolis of graphic storytelling,” while Brown was hailed as an “ascendant talent” for his comic memoirs such as Darth Vader and Son. DeWoskin’s memoir Foreign Babes in Beijing is currently in development at HBO, while her most recent novel Big Girl Small won an Alex Award, which honors books with special appeal to young adults.